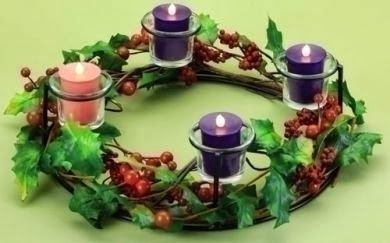 Advent wreaths are constructed of a circular base of green branches into which are inserted candles, sometimes four and other times five. 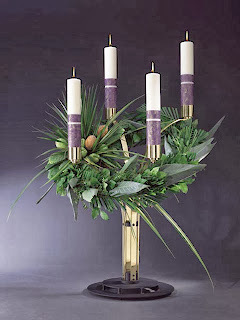 Usually the colors are purple, pink and white, however it may change according your decoration. 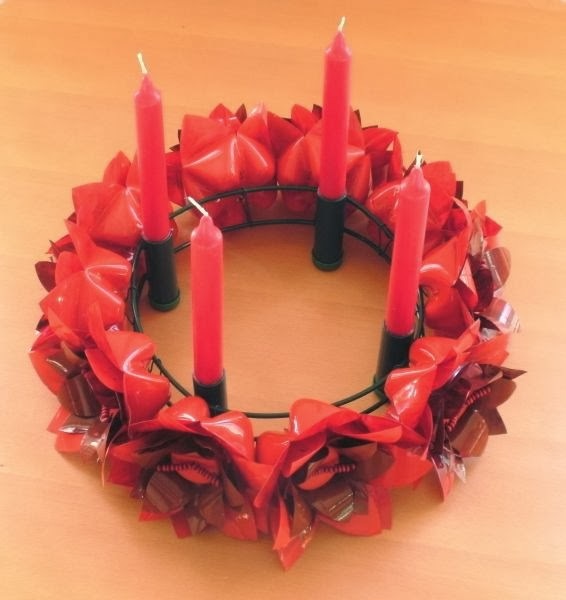 Below you can find some interesting Advent Wreaths designs. 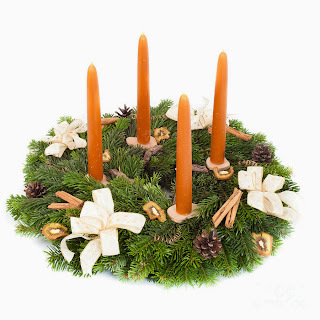 Advent Wreath with green branches, white ribbons and four orange candles. 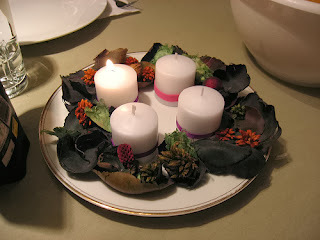 Advent Wreath with branches, pine cones, and five candles. 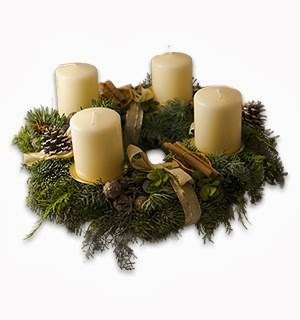 Advent Wreath with green branches, green and red ribbons and four square candles. 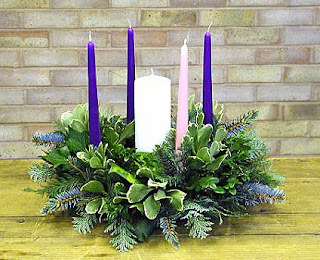 Advent Wreath with green leaves, cone pines, flowers and four white candles. 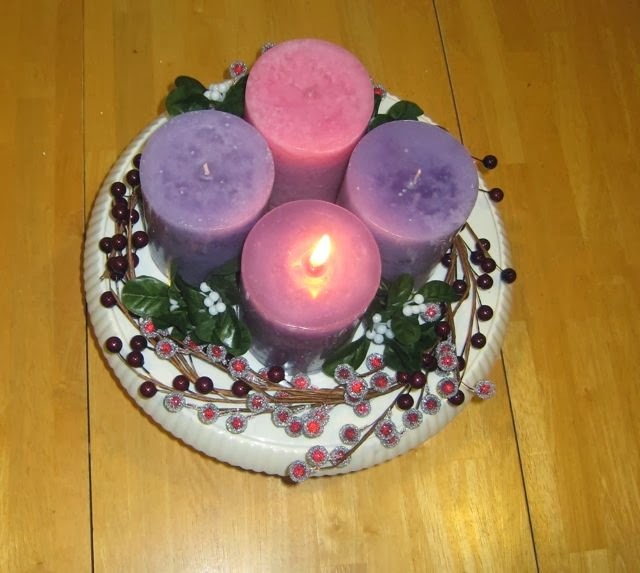 Advent Wreath with green branches in the base, three blue candles, one pink candle and a white one in the middle. 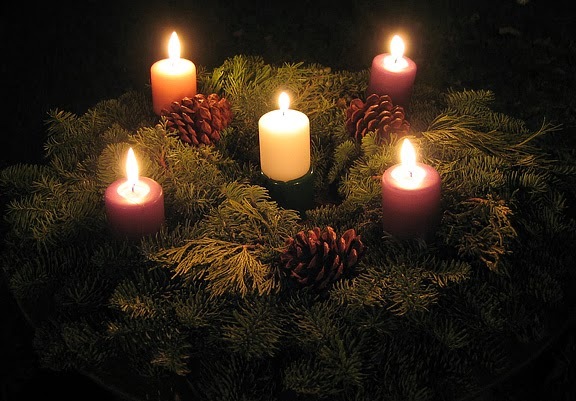 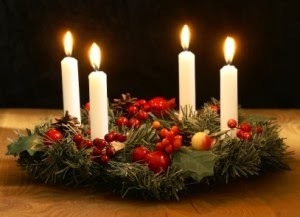 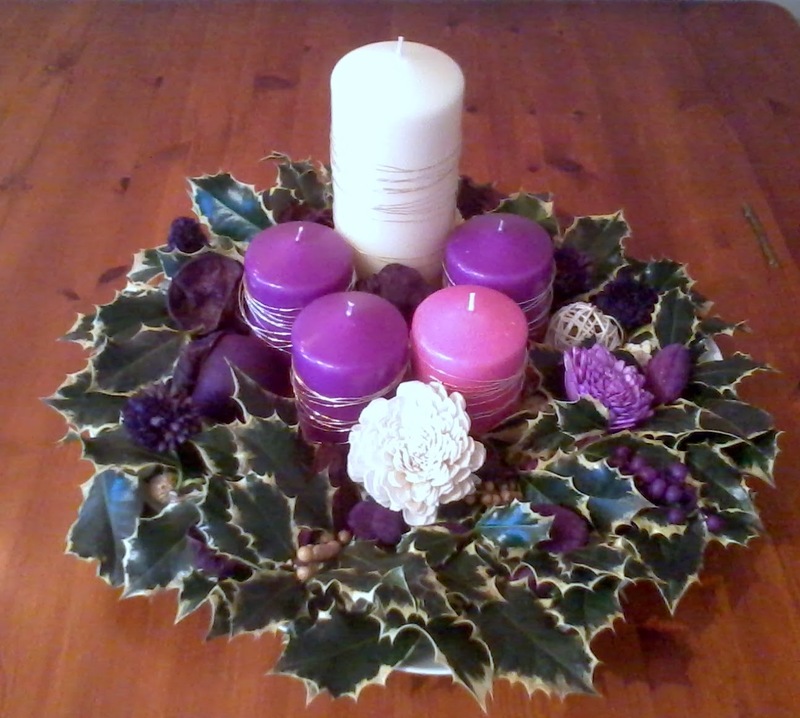 Advent Wreath with green leaves and five candles, three purple candles, a pink one and a white big one. Advent Wreath with a red base and four red candles. Advent Wreath with branches and four candles in the middle. Advent Wreath with green branches, red fruits and four white candles. Advent Wreath with red fruits and leaves in the base, three purple candles and a pink one. Advent Wreath with green branches, pine cones and four white candles. 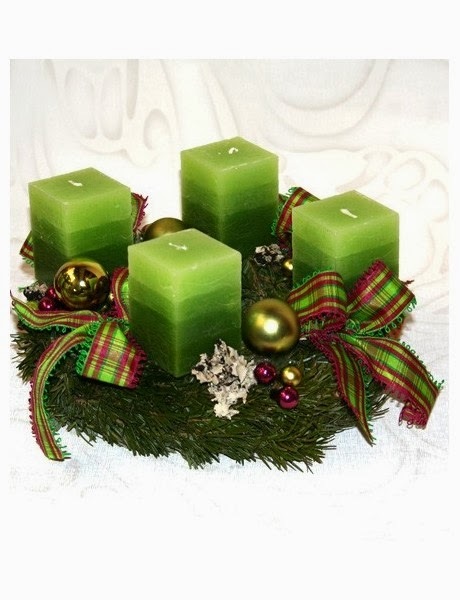 Elegant Advent Wreath with green branches and four candles, purple and white.